She was outside my window on the brick wall as the snow was gently wafting down around her. She was looking for birdseed left on the bricks that was covered by snow now. 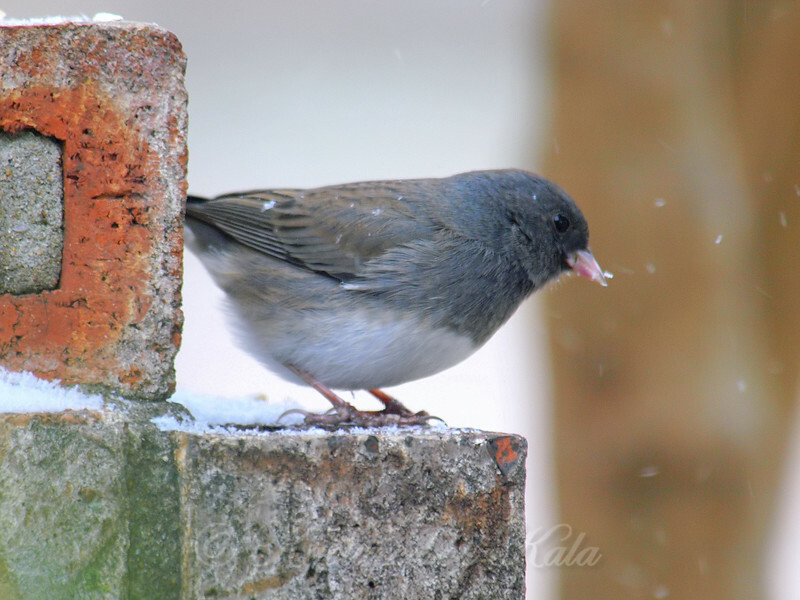 Female juncos have such a pretty blending of colors.